The South American farmers of the organic cocoa used in this high quality chocolate are totally committed to producing their products by organic methods. Dispensing with agro-chemicals means that they are not exposing themselves and their environment to any potential health hazards and that they are able to remain financially independent. 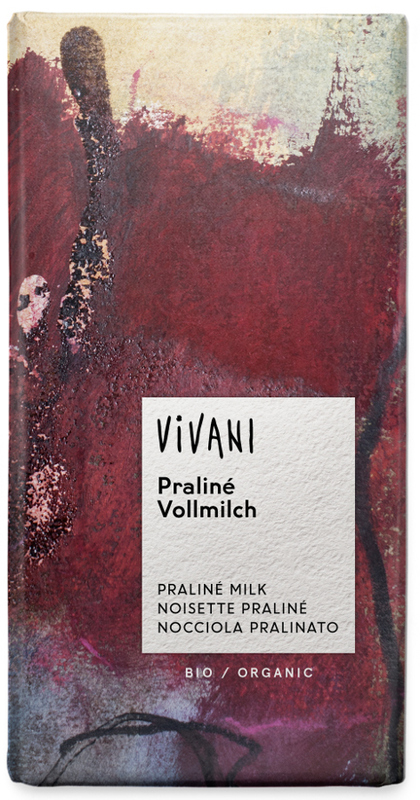 This delicious milk chocolate is combined with a hazelnut praline filling. Milk chocolate: raw cane sugar*, cocoa butter*, whole milk powder*, cocoa mass*, cream powder*, skimmed milk powder*, bourbon vanilla *. Nougat of hazelnuts filling 50 %: hazelnuts* (35 %), raw cane sugar*, cocoa butter*, whole milk powder*, whey powder*, bourbon vanilla*. Cocoa solids: 33 % minimum. Milk solids: 19 %. 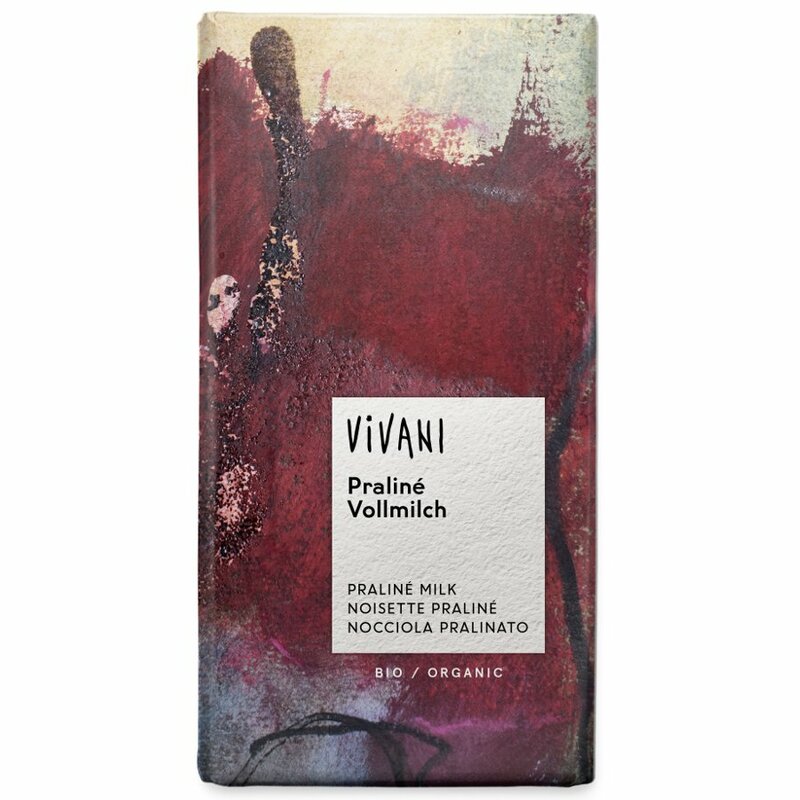 There are currently no questions to display about Vivani Organic Milk Chocolate & Praline Filling - 100g.